I am a complete stationery geek . There is nothing better than getting new bits of stationary to try . Or writing on a fresh pad . 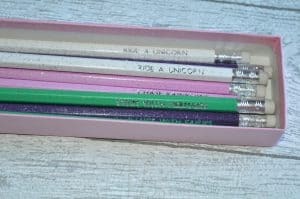 I used to get so excited about going back to school as I knew this meant stationary shopping ! Surely I’m not alone on this right? In just a few weeks I will be returning to work . The same time a lot of kids will be returning to school after the summer holidays . 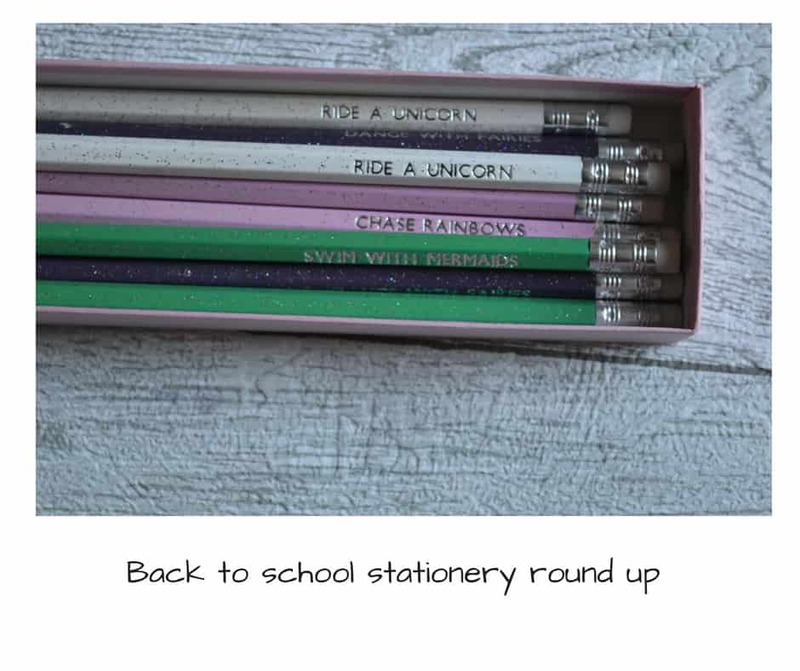 So I thought I would put together a stationery round up post for you. Full of great stationary ideas. Now this isn’t your most typical stationary must have but with how things are going . More and more often were using technology both in the class room and also in the office. At work we use tablets to track children’s development , write observations . As much as I love technology and am pretty good with using it . I do find signing things off at work hard with my fat fingers . So a stylus is just what I need. The thing I love most about this one is that it can be used on most touchscreens . Meaning if you want to use it away from the office on a different system you can . This would of also been perfect for when I was at uni . I was always loosing my notes and I started to type them out on my IPad . 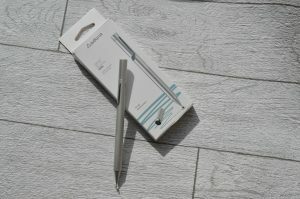 I’m not the quickest on the iPad but if I had this stylus it would of made things so much easier. For the first time since changing job roles when I go back I will actually have a desk of my own . Something that I’m way too excited for ! I was having to desk hop and find a place to put myself so having my own desk is a little exciting. This means I can keep things on my desk and not have to carry them all around with me . 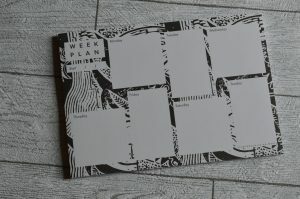 So I knew I wanted a desk planner. 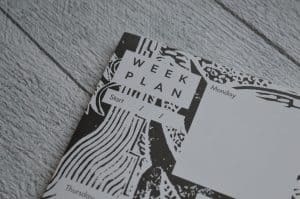 I had the opportunity to pick an item from the chalk and Moss range and was immediately drawn to this Monochrome botanical A5 desk planner . I think it just looks so lovely stylish and sophisticated. It comes with 52 pages so you won’t need to get another one through the year this one will last you all year. It has a a space for each day including the weekends and a space to pop the date . I will probably cross out the weekend days and use this space for something else as I only work in the week . I personally think it’s big enough to write a few notes on to remind you to do things . But not too big that it takes up too much desk space. Now unicorns still seem to be loved by everyone. 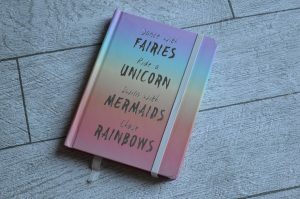 So I’m sure something unicorn themed will be on most people’s list. This notebook and pencil set from Gift pup is just what you need . It comes with a beautiful note pad that has an elasticated band around it . So you can keep your note book securely closed and in good condition . There is nothing worse than getting your pad out your bag and all the pages have been bent over whilst in your bag. 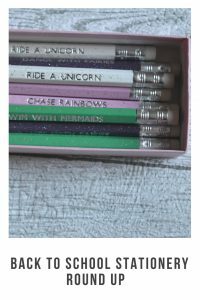 With this set you get 12 pencils with matching slogans embossed onto them the same as the note pad . I really like that these come in a box that you can have personalised. This would make a great gift for someone on their first day back to school . I had Jess’s hands off ! On my box as a joke as everything sprouts legs at my work unless you put your name on it ! 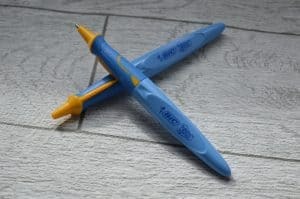 Now I have been a lover of a BIC pen for many years. I find them to be such a comfortable pen and the ink moves easily from the pen. Little did I know that BIC actually do a kids range and I’m sure kids would love these in their pencil cases. 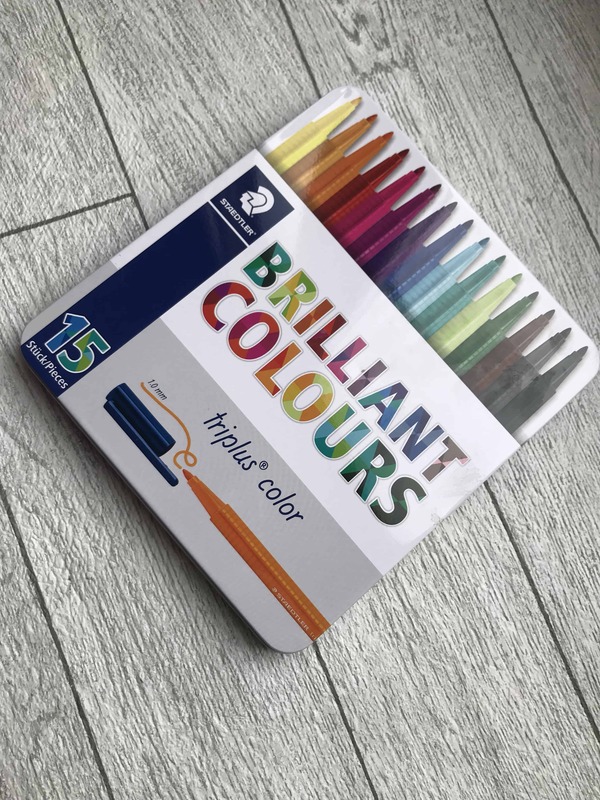 First of all is the colouring pencils, felts and crayons. 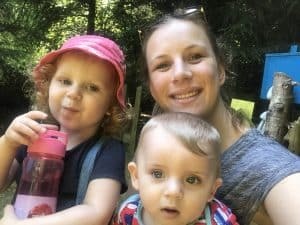 These have been put through their paces the last couple of week by a very heavy handed toddler. They haven’t snapped. The led in the pencils hasn’t broken even when she threw her pencil case down the stairs. Like the packet says the felts really do wash out of clothes which for me is great. As Ava ends up with more pen on herself then she does the paper. They also sent us some BIC kids pens which is something I have never seen before. They are actually recommended by teachers so I’m sure the school attached to my work will be very happy when I donate these to them. Some lucky child getting their pen licence can have one of these great pens. They are shaped at the end of the pen meaning children have the correct finger position. 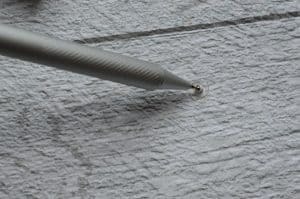 Also they can be used by both left and right handed people even with the positioning at the bottom of the pen. I have written myself with this pen and it is a really comfy pen to wright with so I may be keeping one back for myself. When I’m making notes at work I love to write in colour . I think it just makes it all look nicer when you have to look back on it . I also tend to write each thing I need to do in a different colours and group the same type of tasks in the same colour . So when I look back at what I need to do I can see what jobs link together . If you hadn’t of guessed by now I like to be organised. The triangular shape of the pen makes it really comfy to write and draw with. This tin would also be perfect to keep at home for when the kids have homework projects . The ink is water based which means it washes out of most textiles . The pens are also dry safe which means the lids can be left off for a few days and they won’t dry out . Perfect for kids right ! 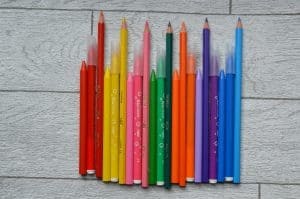 We get through so many felt tip pens because they dry up. 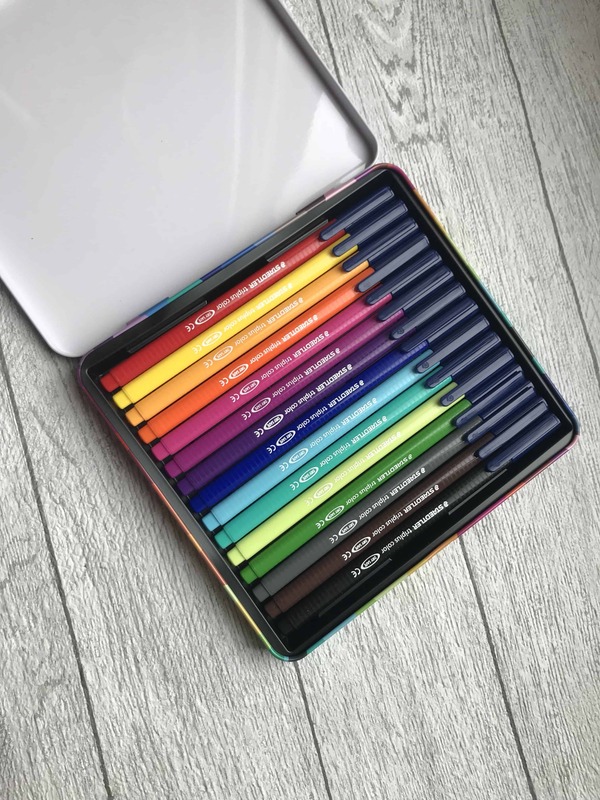 You can get your hands on this fantastic staedtler set from Crafty Arts for £10.99. Please note this is a sale price and they are normally £18.75. So don’t miss out grab your bargain pens now ! Last but not least is the Collins Cosmos diary. Now I’m a lover of Collins diary’s I had one for the last academic year and they last so well. This year thought I would opt for a different layout. As last time I had a day per page whilst this can be handy I did find it made my diary quite big. So I opted for one where a week was spread over to pages. 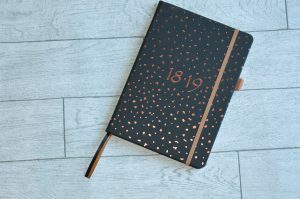 I was instantly drawn to the Cosmos diary because of the rose gold. Like a lot of you I am a big fan of rose gold and the rose gold along with the black. I think just looks lovely. I also like the fact it has an elasticated loop to hook your pen through and also two ribbon page markers. On all the Collins diary’s i have had they have a handy expandable inner pocket on the back cover. Which is so handy to keep things in . I used to keep paper work in it that i knew i would be needing to get my hands on regularly. It kept it nice and neat and stopped me loosing things. I hope this has been helpful . If your starting secondary school, have children starting school or like me returning back to work. I just want to say dont worry it will be fine you will do great !